A sundial on a stone pedestal in a yard. A part of a house is on the left and some other buildings are on the right. A white man stands in between the buildings looking to the right. 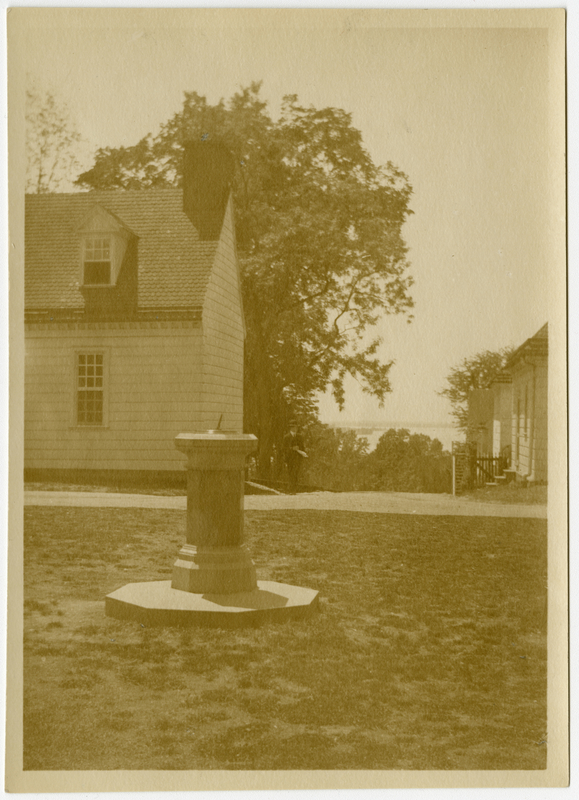 Johnson, Clifton, 1865-1940, “Washington's sundial,” Digital Amherst, accessed April 23, 2019, http://www.digitalamherst.org/items/show/5151.